Don’t get me wrong – I like a lovely bunch of flowers as much as the next girl – but sometimes people can drown in them. When they have a new baby, or in times of crisis where people want to show they care and don’t know what else to do, people often give flowers. A friend who was going through a difficult time had been given loads of bunches by well wishers – but ended up crying on the phone to me as she’d run out of vases and was surrounded by decaying floristry. I’d already moved away from flowers and have recently sent cake in the post to friends for various reasons – new babies, marathon run, broken bones, house move, poorly child, divorce – from the very wonderful Very Smart Cookie Company (as well as ordering them regularly for ourselves as they are always fabulous). But it’s always nice to have an arsenal of present suppliers – so I was very excited when I saw on Twitter a new business venture for Steph – whose blog ‘Sisterhood (and all that)‘ I already followed – and it is ‘Don’t Buy Her Flowers‘. “Flowers seem to be a go-to way to say ‘congratulations’ when someone has a baby. Although they are always lovely to receive, at Don’t Buy Her Flowers we wanted to create something that was more thoughtful and useful for mums at a time when they need it most. Something that might encourage her to take ten minutes to herself. Having babies is amazing, but it’s also a rollercoaster and can be hard. Whether it’s the first baby or the sixth, life is different to before and it takes a bit of adjusting to. Knowing someone is thinking of you can be a huge boost. Most parents have bought everything ready for the new baby anyway and there are only so many cute outfits one baby can wear. 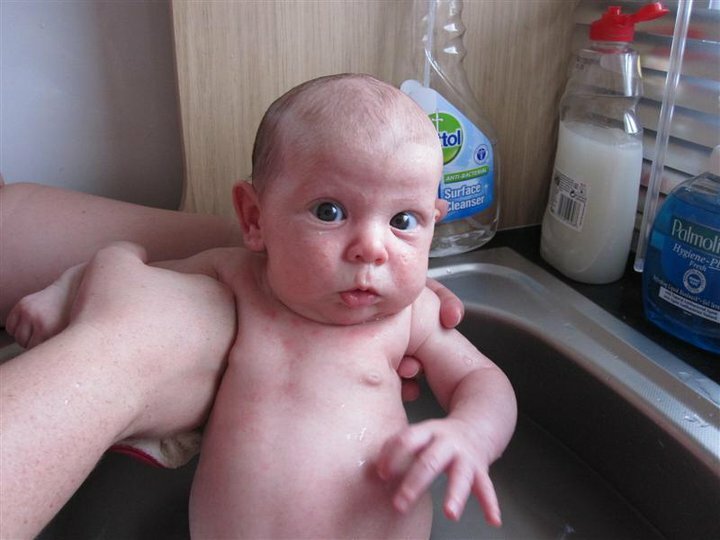 It makes sense to get something for mum – she’s pretty central to this whole baby malarkey. We also know how grateful new parents are to receive home-cooked food on their doorstep, which is why we have teamed up with COOK food to offer their vouchers in our packages. There are different packages you can chose from at different price points which contain lots of goodies for the recipient – including dry shampoo / smellies / edible treats / a choice of magazines / a lovely scarf – and adding on the ‘COOK’ vouchers means the person is getting a few hot meals cooked for them too! For local friends I’ve often cooked a meal and left it on their doorstep when they have had more important things to worry about (hey – I’ve even got friend’s kids to eat spinach and butternut squash when it’s a meal made by me and not their parents!!) but if you’re further afield (or rubbish at cooking!) how nice still to be able to support them in this way. I emailed Steph very early on and said I could see this working as gifts at other times too – not just for new mums – and whilst that is still the target market, there’s now a drop down menu when you order so you can send the gift for another reason – birthday, get well soon etc. So any of my real life friends reading this, don’t be surprised if you get one!! This is not a sponsored post – I just think it’s an ace idea – and wanted to spread the love!! Isn’t it weird how one play of a song can transport you back to a specific memory? This morning Ed and Rachel on Heart played Never Forget by Take That. Now for my immediate family – and my sisters and their families – there is a lasting memory of this. Back in 2010 (4 weeks after I’d given birth to our 3rd child!) we all went on holiday to a campsite in France. This was to celebrate my Dad’s 65th, Mum’s 60th and their ruby wedding anniversary. 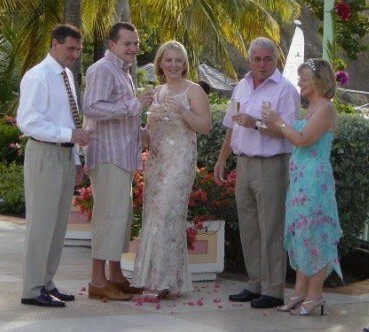 It was also my youngest sister’s 10th wedding anniversary whilst we were there. Her husband had been away in the Gulf with the RAF until a few days beforehand, and so went to buy her an anniversary card whilst we were in France. He was amazed at what choice the French supermarche had for 10th anniversary cards – not realising that the French for birthday is anniversaire and they were actually birthday cards! Oh how we laughed when she opened that one! Anyway – I digress – back to Take That. 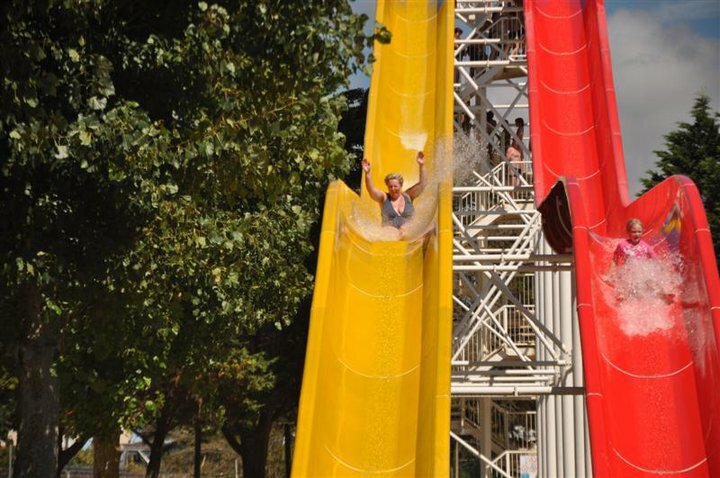 One of the days we all trooped off to a water park (I will save you from the photos of the boys in speedos – got to love French swimwear rules!) I went on one of the big scary rides – and part way down whacked my head REALLY badly – I felt sick and almost passed out. My brother in law (he of the card purchasing amusement) had watched my descent and commented that he just thought I was doing the dance moves to Take That’s ‘Never Forget’!!! And oh how lucky that someone got a photo to evidence this……..
Yep – we will ‘Never Forget’ that one!! I was just perusing photos for another proposed blog post and stumbled across this of my 4 year old when she was 4 weeks old and we went on a family holiday to France in a caravan. We didn’t use the Dettol or the washing up liquid on her I promise. This is my entry for Wicked Wednesday over on BrummyMummyof2’s blog. I am always partial to a bargain – and Amazon offered me a free book (can’t remember why, think I agreed that a delivery could be outside my usual Prime terms) – and ‘The State We’re In’ was one on the shortlist. It appeared to have been on best seller lists, and it involved a flight to Chicago, where I’d been last month, so I opted for it. 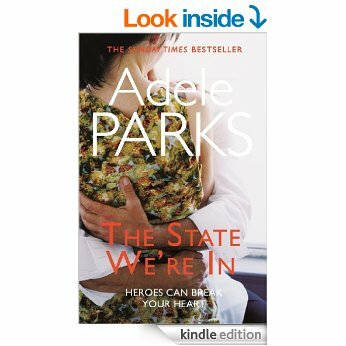 “THE STATE WE’RE IN is the unforgettable, emotionally powerful novel from Sunday Times bestselling author Adele Parks. What are the odds that the stranger sitting next to you on a plane is destined to change your life? Especially when they appear to be your opposite in every way. She’s a life-long optimist, looking for her soul mate in every man she meets; he’s a resolute cynic – cruel experience has taught him never to put his faith in anyone. People can surprise you. In the time it takes to fly from London to Chicago, each finds something in the other that they didn’t even realise they needed. When I started reading this I got really confused. There were chapters headed up with the names of different characters, and they seemed completely disparate – and I thought I was going to find it hard work. But I’m not one to give up on a book (hey, I waded through the Goldfinch!!) so I persevered – and I am sooooo glad I did. I can’t really give you too much of the back story without giving away fundamental twists and turns of the plot – but I couldn’t put it down – and was desperate to know what was going to happen next. There’s emotion / love / lust / travel / family secrets / rude bits / shopping in Chicago – and, as is my usual style, sobbing at the end. I am a bit gutted that I finished it this evening to be honest. I know I like most books I read and review on here (generally by being sensible in what I chose to read in the first place) but I really liked this one! After Sunday lunch today I decided to make chicken stock with the meat carcass – ably assisted by Princess Elsa – as you do. The first time I made stock – whilst pregnant with Princess Elsa’s big sister – my husband very kindly ‘helped’ with the process whilst I was having an afternoon nap – and drained the stock down the sink. Then stood there wondering what I was going to do with a saucepan of bones and soggy root vegetables and herbs…..
Today I got a text message from him, whilst attending a birthday party with about 20 other Elsas, to ask when he could turn it off as it was stinking the house out!! Not sure how he’d cope at my sister’s, who often has perpetual stock on the hob for days after a roast dinner!! I am very excited about this week’s theme for The Gallery – as IT WAS MY SUGGESTION – EEK!!! Having been very chuffed with the photo I’m about to show you, I tweeted Tara at Sticky Fingers on Friday (the day that the theme for the next week is posted) to ask what it was going to be as I had a lovely photo of some trees I wanted to shoe-horn in somehow. Imagine my DELIGHT when she very very kindly chose ‘trees’ as the topic, so no horning of shoes required at all!!! 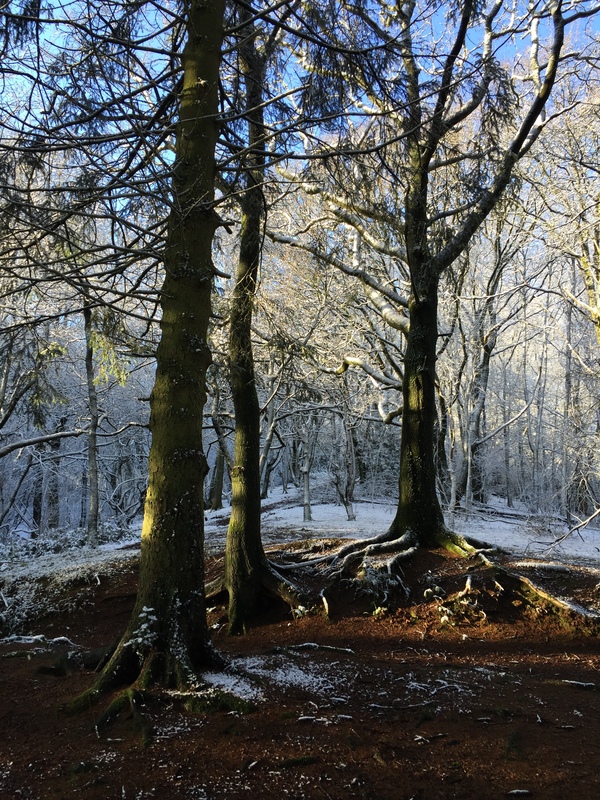 I took this photo at the Lickey Hills – just 5 minutes from our house – when I went with my son and 105 other Year 5 kids on an orienteering trip last week. It was EXHAUSTING – and my legs ached for the whole of the next day (as did a lot of the kids, so it wasn’t just me being unfit!) – but a really challenging, interesting, calorie burning day. It also reminded me what amazing photo opportunities we have right on our doorstep. I kept expecting to see Mr Tumnus peep out from behind one of the trees! 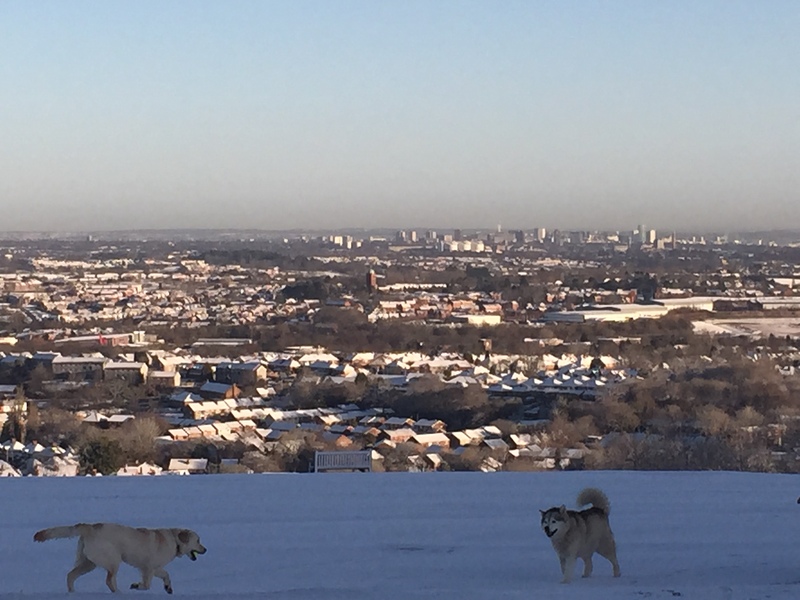 And just for completeness, here’s the other photo I took from Beacon Hill looking out towards Birmingham City Centre – lots of trees on that too, for England’s second city. This is my entry for this week’s #thegallery – so do go and look how other people have interpreted ‘trees’….. 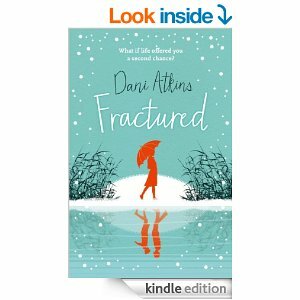 I read ‘The Story of Us‘ by Dani Atkins over the Christmas break, and loved it – and immediately downloaded ‘Fractured’ which was one of her back catalogue. “What would you do if life gave you a second chance? Now, five years on, Rachel’s life is crumbling. She lives alone in a tiny flat, working in a dead-end job, desperate with guilt over her best friend’s death. She would give anything to turn back the clock. But life doesn’t work like that… Does it? Now, five years on, Rachel’s life is perfect. She has a wonderful fiancé, loving family and friends around her, and the career she always wanted. But why can’t Rachel shake the memory of a very different life? It started off – in a similar vein to ‘The Story of Us’ – with a car crash, and I have to say my initial thoughts were ‘Hmm, this is all a bit the same’ – but that didn’t last long and I was soon hooked into Rachel’s story. There is then a ‘Sliding Doors’ moment (90’s Gwyneth Paltrow film reference for those wondering what I’m on about!) and the story pans out a different way – as the blurb above suggests. Throughout I was desperate to know which was the ‘real’ story – and it very cleverly kept me entertained. (The last few nights I’ve willingly been the one to lie with the toddler who won’t go to bed on her own, so I could finish it off!!) I really liked Rachel, and her friends and family, and was rooting for her to do the right thing throughout. The ending is lovely – and obviously I wept loads – as is my way. Dani Atkins definitely has a ‘style’ – but it is one that I really like! I’d met Mr P the year before in ‘Zinc’ in Birmingham. In fact our meeting probably warrants a mention. I was out drinking gin with friends, and he noticed my red bra strap. He asked if my knickers matched and I showed him that they did (and still do even after 4 pregnancies and 4 lots of breast feeding!) He told me he was going commando – I checked, and he was! After a brief chat we found out we were both Aston Villa fans (in fact this is why we’ve subsequently had 4 kids – to keep supporter levels up!!) We swapped numbers and went on our separate ways for the evening. After a few weeks of texting we arranged our first date. We have subsequently both confessed that we weren’t quite sure what the other one was going to look like when I opened the front door – but thankfully we weren’t repulsed and went on our date. (Although Mr P did tell me a few weeks later that he’d previously only been out with pretty girls!!! I know that he meant I had brains as well as beauty – but I do like to remind him of it!!) I found out on this first date that he’d previously been married to a girl I’d been to school with – which meant I kicked him out quickly after we got back to call my best friend from school to tell her who I’d been on a date with!! I subsequently found out he’d had his overnight bag with him – cheeky sod!! – I am naturally unfit but train by the rules – he ran a 10k after no training, a breakfast of M&Ms and Lucozade in the car on the way to the race and still beat me in sub one hour. But when it comes to important things – big love for our family, OCD tidiness and a desire to help others (amongst others) – we have very similar values and beliefs. Our life is hectic – working and playing hard together, as well as parenting 4 fabulous kids – but I wouldn’t change saying ‘I do’ on 16 January 2003 for anything. Biff, Chip and Kipper – ROBINSON! Like the Swiss family, the people who make squash and marmalade (is that the same people by the way?) 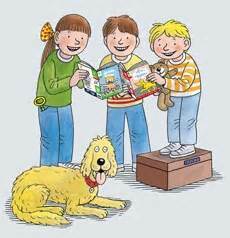 and the Labour MP for Coventry called Geoffrey who lent Mr Mandleson hundreds of thousands – Biff, Chip and Kipper have the surname ROBINSON! I found this out 5 years ago (which I was reminded by Timehop earlier in the week – again, I LOVE Timehop!) but I had forgotten this fact. In the intervening demi-decade I’ve had 2 more kids, so that’s 2 more lots of Oxford Reading Tree ‘fun’ to look forward to. It would seem that Kipper is in fact ‘Christopher’ and couldn’t say it as a child so it became Kipper. Now, as an Elisabeth who couldn’t say that as a child, turned it into Libby-buff and then eventually Libby – I empathise with this totally. Biff is in fact ‘Barbara’ and Chip is ‘David’ – but he didn’t elucidate as to why they ended up with their abbreviations – so we’ll have to guess! The theme for The Photo Gallery this week is ‘Me’. I really wasn’t sure what to post – and then Facebook started with all the ‘first profile pics’ and I thought how apt that was. 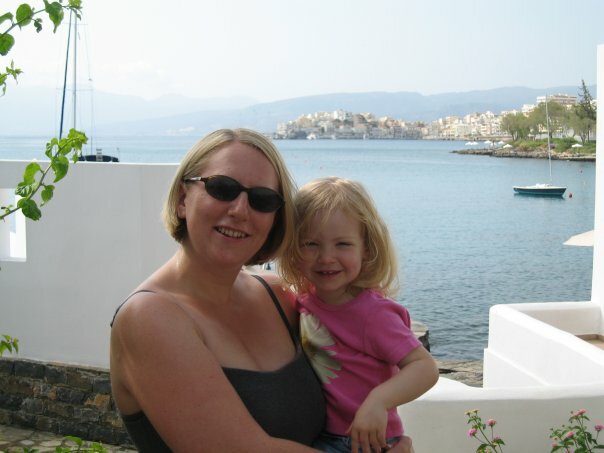 So here it is, my first profile pic, taken back in 2007 in Crete on holiday with my eldest daughter who was then 3. It was quite a stressful holiday, and on the last day I managed to break my foot (a metatarsal – just as Wayne Rooney bust one too!) – but I still love this photo of me and my big baby. 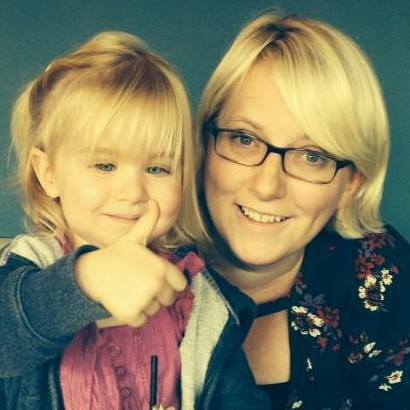 And the profile pic it replaced, my most recent, was me and my littlest baby who’s now 3 herself! I should point out here have been 80 profile pics in the intervening 7 years – which makes me feel very vain as Tara has admitted to only 3 profile pics in her entire Facebook life! This is my link up to The Gallery over on the Sticky Fingers Blog – so do click on the link below to see how other people have interpreted the theme.